Netflix is an American digital entertainment company that was founded in 1997 by Marc Randolph and Reed Hastings. The company provides streaming media, video on demand, and DVD by mail to its users. It is premium service that is available in most of the countries of the world. However, a few TV shows, movies, and videos are restricted to few countries only and you need some workarounds such as accessing their database from a US VPN server. Moreover, the user needs to use the internet to play same video again and again which consumes too much data. 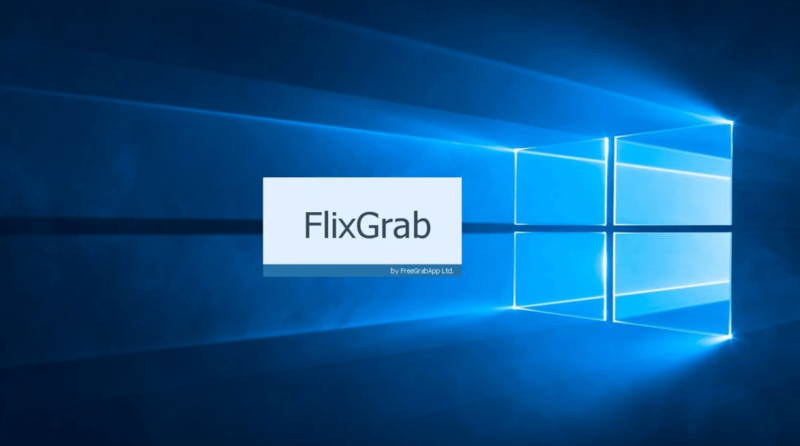 FlixGrab is a newly launched application by the FreeGrabApp team that lets you download the Netflix media using the fastest FreeGrabApp application engine. You can play those videos on any device after the download without consuming extra GBs of your internet data. Let us explore the app in details and learn about its powerful features. 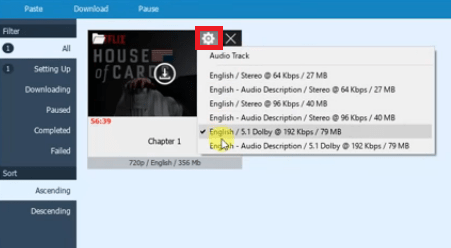 FlixGrab is a powerful unique application to download the Netflix serials, movies, documentaries, music at blazing fast speeds. The videos can be downloaded in batches too. You can download the Netflix videos on your device in different output formats using FlixGrab and watch them in any device. The tool certainly allows you to save a lot of internet traffic without disrupting the Netflix limitations. FreeGrabApp, the makers of this tool respects the copyright terms, but at the same time, they consider the limitations on already purchased videos or free media content is not legitimate. Therefore, they make use of the programs that are totally legal for personal needs without the rights of sharing the material to the third parties. A user-friendly dashboard lets the users to convert the Netflix video into desired output formats. It supports downloading the HD quality Netflix video. Moreover it lets you choose the original quality video from low resolution (240p) to high definition (1080p). You can even download the Dolby Digital Surround Audio 5.1 using this software. A user can download multiple videos at same time using this awesome tool as it supports batch downloading. The download process can easily be stopped and resumed from the point you left it. It is easy-to-use tool that can even be operated by a layman. Firstly, download and install it on your device and follow the steps mentioned alongside. Launch the tool on your device. 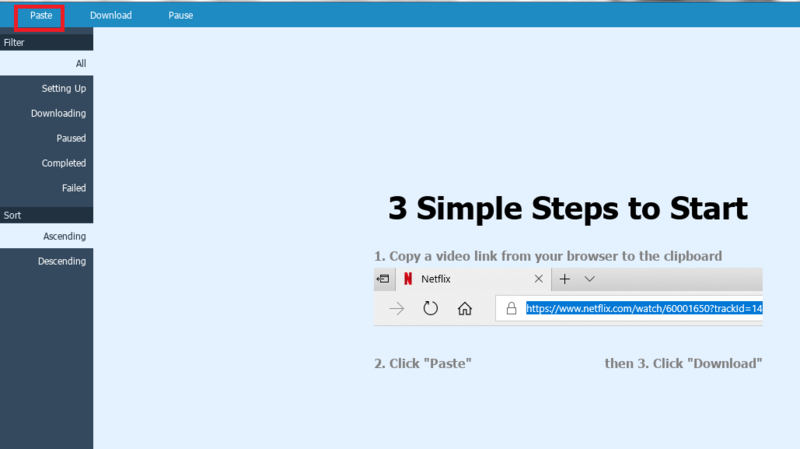 Now, copy the Netflix video URL and go to the paste option. You can drag the URL to the paste option as well. The tool will analyze the video URL. 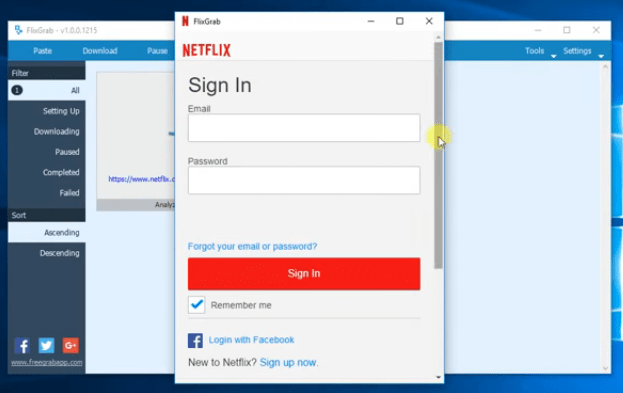 It will ask you to login your Netflix account to check if you have actually purchased that media or it is available for free. Enter your credentials to proceed further. Now, FlixGrab will read the video and you can choose to set different parameters by going to the settings option. After setting the parameters, click on download option. The video will start downloading. It might take some time to download the video depending on your internet speed and video size. Once the download process is complete, the video will be saved in the output folder you have chosen. FlixGrab is available for free. But if you download the free version, you won’t get the access to its complete features. The premium version of this tool is available at $12.99 for one-year subscription. It can run on Windows 7 and later versions. You can use it on single PC if you have purchased just one license. 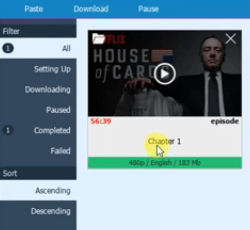 FlixGrab is the pure delight for the Netflix users who wish to watch their favorite movies/videos/series on different devices saving their internet data. The tool copies the Netflix videos for the users, but the videos need to be free or purchased by the users for the tool to work properly. It respects the copyrights and don’t promote piracy. now i am going to be netflix guy. 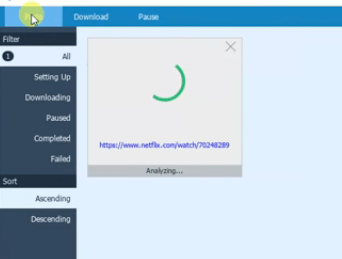 Well, I’m using this version Free Netflix Downloader 3.1 https://www.333download.com/free-netflix-download-download-for-windows , and its working..
good article. Now we can use netflix easily. When I first downloaded the free version, I got low-def versions of videos to parse. But now, nothing!! !